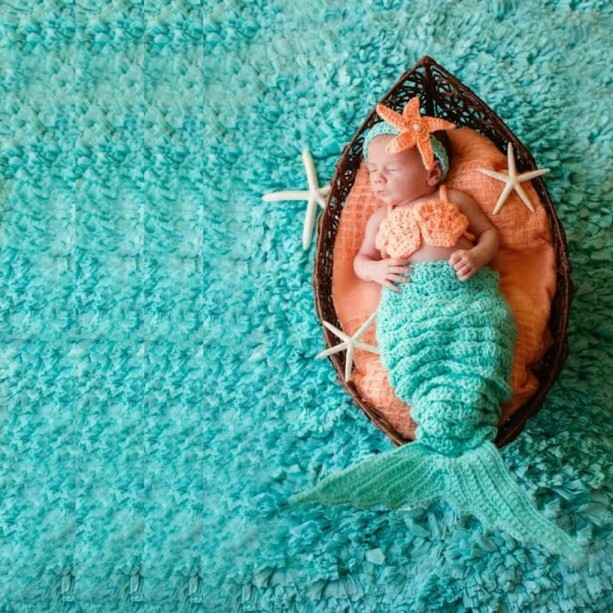 Crochet Baby Mermaid Set. Available from Newborn to 24 Months. Can be made in any color combos. Please let me know the colors you would like when placing your order.